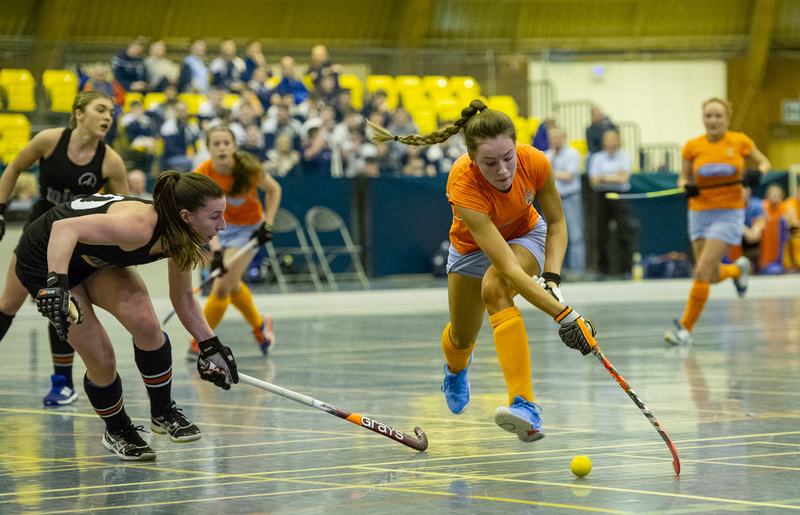 Clydesdale Western bowed out of the women`s indoor European Club Trophy in Vienna after going down 8-2 to Lithuanian champions Gintra Strekte Uni in the final relegation pool match. The result means that newly crowned Scottish champions Dundee Wanderers will play in the third tier Challenge 1 level next year. It took Gintra only three minutes to get their noses in front, Erlanda Nomeikaite scored from open play. Western were soon level with a strike by captain Francis Lonergan. The Lithuanians stepped it up into a 3-1 lead through Samanta Jakovleva and a penalty corner conversion by Nomeikaite again. Although Western`s Bronwyn Sheilds reduced the leeway Gintra reached the break 4-2 ahead through Rimante Gudeliauskyte. Five minutes into the second half Gintra had moved on to a comfortable 6-2 lead with further strikes from Nomeikaite for her hat-trick and Toma Petrikaite. Although Nomeikaite had an enforced rest in the sin bin the Lithuanians continued to add to their tally with further goals from Kotryna Kartanovic and Dovile Kukliene.